Here are 13 common mistakes we all make when it comes to makeup. Half of the time, we may not even realize we’re doing it. Sometimes, we even think it’s the right way. No matter how long we’ve been doing it, we can always correct it. With these tips, I’ll point out the common mistakes , explain why and show you how to correct them. Pulling on the skin around our eye to get the perfect wing. Pulling on the skin can stretch and break down the sensitive and elasticity. It’s more likely to get wrinkles and you can end up with an uneven or dragged down line. Instead, try to relax your eye or use applications like stencils. 2. Drawing heavy lines on the eyebrows. Tracing heavy long lines on your eyebrows can create dark brows that are hard to blend, soften and correct. You’ll end up looking like you have sharpie eyebrows. Instead, trace out your eyebrows in short strokes as you go along starting at the end. Put what’s left of the product in the front and brush out your eyebrows. 3. Applying too much blush or too low on the face. A lot of us make the mistake of smiling when applying blush. When you do this and stop smiling, the skin actually is sitting lower on your face and so it the blush. Apply the blush to the apple of your cheeks to avoid being too low and blend it out lightly. Blush is always buildable so it’s better to lightly apply. If you apply too heavily, it’s harder to correct. I know we all want to look like Kim Kardashian or whoever is our inspiration but I cannot stress enough how important blending is. Blend your eyeshadow. Blend your bronzer. Blend your contour. Blend everything. We don’t want those harsh lines. 5. Applying lipstick to naked lips. Raise your hand if you’ve ever done this. Please do not do this anymore because this is the reason why your lips look chapped, dry or cracked. The lipstick will look much smoother and hydrated. Always scrub your lips. You can use a lip scrub, natural remedies or even your toothbrush after you brush your teeth. Then, use a chapstick or a lip primer before you apply the lipstick. 6. Using your fingers to apply foundation. This is a big no no. This will only result in an uneven and cakey layer. Instead, use a beauty blender or a foundation brush. 7. Testing your foundation in the wrong spots. Many of us test foundation on the back of your hand. This is inaccurate because our skin pigment on our hand will be different than our face and neck. Sometimes we may be wearing a shade that’s too light or too dark. Instead, test the shades on your face and neck. 8. Storing makeup in the bathroom. It’s easy to store our makeup in the bathroom because that’s where many of us do our makeup. You want to consider that there is a lot of bacteria in the bathroom and the changing temperatures such as a hot shower or the summertime. Your makeup is meant to be stored at room temperature. Instead, store your makeup in your room on your vanity or desk. 9. Not washing your makeup brushes as often. It is so important to wash you brushes for many reasons. Here’s a previous post that explains it in depth. 10. Sleeping with your makeup on. Sometimes we get lazy or too tired to take off our makeup but sleeping with it on can be one of the worst things to do to your skin. When we sleep, our skin goes through a renewing process to get rejuvenated, glowing skin. Wearing makeup to sleep will clog pores, cause breakouts, and age the skin by taking your skin’s moisture out. This can cause wrinkles much earlier and dry patchy skin. The next time you feel lazy or tired, take few extra minutes into your skincare regime or at least use makeup remover wipes. 11. Wrong shade of concealer, not applied correctly nor setting your concealer. 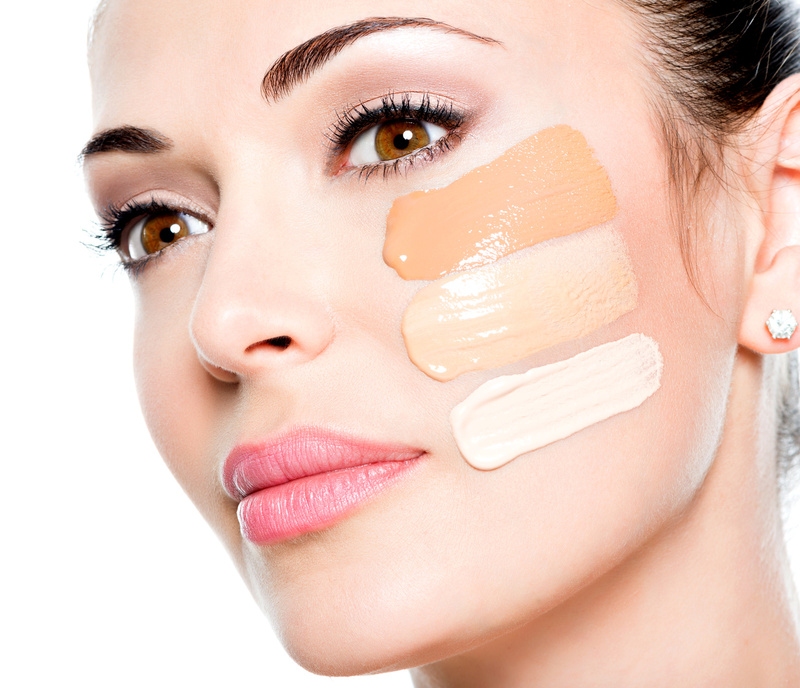 Concealer should be one shade lighter than your foundation. When applying the concealer under your eyes, apply it in an upside down triangle shape. It’ll hide and brighten your under eyes. After applying the concealer, set it with translucent powder so your under eyes stay bright, concealed, and creaseless. 12. Curling your eyelashes after applying mascara. When you do this, it can smudge your eyeshadow and liner. When the mascara is still wet, it could create kinks. When the mascara is dry, your lashes will be prone to breaking or kinking. To avoid that, curl your eyelashes before your mascara and eyeliner. 13. Keeping makeup for too long.